This is my entry from the April Clarity challenge. On black card I used grunge paste through the stencil and then a combination of Stonewash, Stream and Lettuce inks to colour the background. 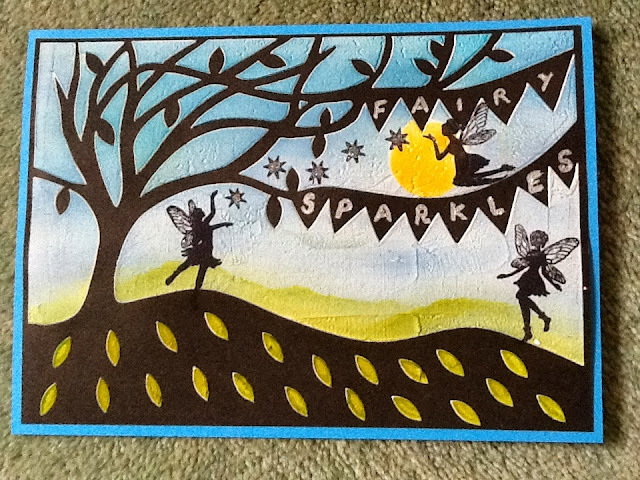 I stamped 3 of the fairies from the Clarity Wee Folk set and added some of the fairy stars in between 2 of them. I wrote the message with a white pen and added Glamour Dust to them, the stars and the words.